What is the course all about? The CSD certification in Brisbane is a well-favored course offered by KnowledgeHut as its methodologies if implemented can ensure the success of any industry project. There are online classes as well as classroom courses conducted by this institute with support from trainers or tutors who have many years of experience handling projects. Benefits of the course The certified scrum developer training in Brisbane is one of the most sought-after courses by professionals and it is necessary to enroll/register as soon as possible to avoid rejection at the last instant. The CSD training in Brisbane allows professionals to get the valuable knowledge to implement in their work environment via practice sessions/real-life demonstrations. 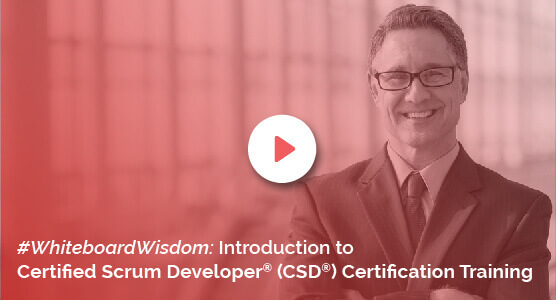 Primarily supporting all the industries including software projects, the CSD certification in Brisbane conducted by KnowledgeHut offers material about Scrum tools like roles, ceremonies, principles and framework; all of which can be understood by enrolling for an online course. The KnowledgeHut Way The certified scrum developer certification conducted by KnowledgeHut is well-known as its mention in a resume or during the interview can open the doors for a high profile career or an attractive salary package. The benefits of the CSD course in Brisbane far outweigh the cost as the fee is very reasonable.